"It’s a perfect summer appetiser and can be made with just about all kinds of seafood and fish"
The perfect summer seafood, Ceviche is made by marinating chunks or slices of super fresh raw fish or seafood in a mixture of citrus juices. This is a short process and takes usually only between 2-15 minutes. The citric acid in the marinade works to gently cook the proteins in the fish giving it a slightly firmer texture on the outside while maintaining the freshness and flavour of the raw fish. There are innumerably many variations of ceviche around these days but traditionally it is flavoured with chilli, onion, ginger and other combinations of spices to complement the natural taste of the fish. Largely accepted to have originated from the coastlands of Peru, ceviche has been traced back to dishes of a similar style that were prepared around 2000 years ago by the Moche people of Northern Peru. They set about marinating their catch of the day in the fermented juice of the banana passionfruit, often for days at a time as the banana passionfruit has much lower acidity than the lemon and lime juice used in today's ceviche preparation. The Spanish Conquistadors introduced lemons and limes to Peru during their colonisation in the 1500’s and the native Peruvians adopted their use into the marinades, giving birth to the ‘modern’ ceviche. Ceviche is now enjoyed right around the globe, appearing everywhere from high-end restaurants to casual eateries. Even the humble cevicheria is starting to make an appearance in the more culinary forward major cities. Its popularity is no surprise considering that it is not only refreshing and delicious but also incredibly healthy as well. It’s a perfect summer appetiser and can be made with just about all kinds of seafood and fish. If you haven’t tried it you are missing out. 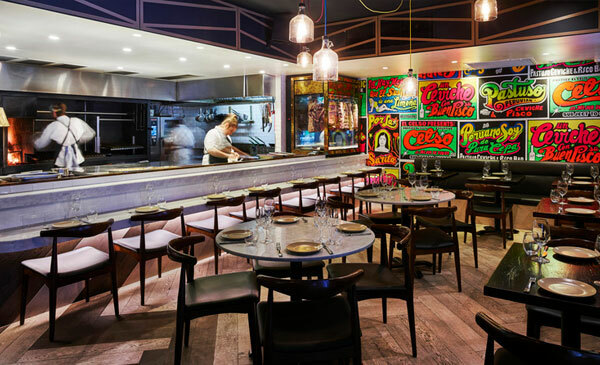 If you cant get to Peru anytime soon then we recommend heading to Pastuso in Melbourne for your ceviche fix.